Contains the active ingredient : Amlodipine Besylate which is a type of medicine called a calcium-channel blocker (sometimes known as calcium-antagonists). Calcium-channel blockers act on muscle cells that are found in the walls of arteries. Amlodipine works by relaxing these muscle cells, which allows the arteries to widen. This lowers the blood pressure within the arteries. Amlodipine is taken on a regular basis to lower high blood pressure. 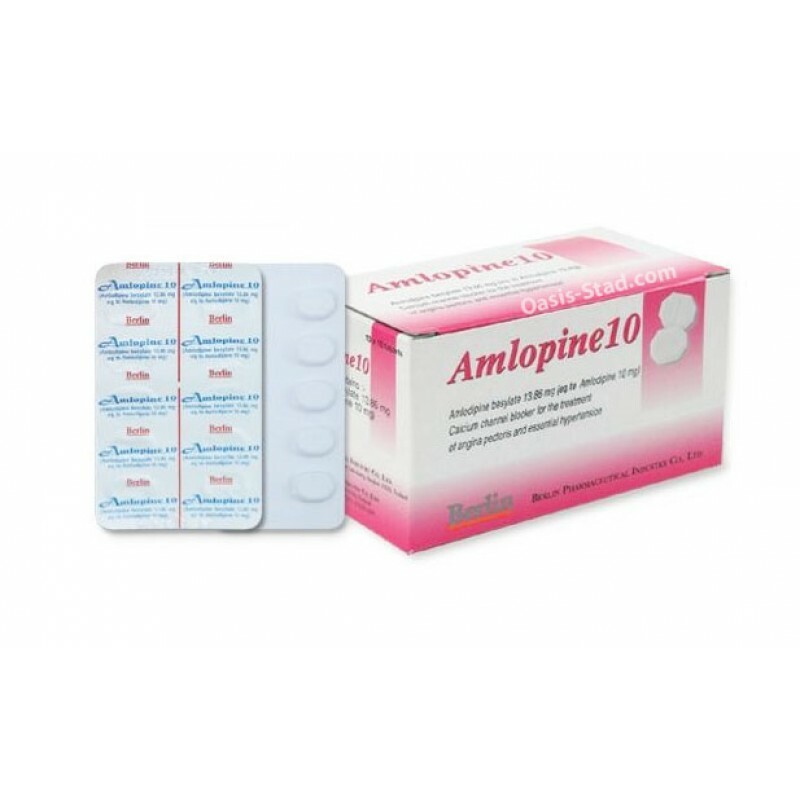 By relaxing and widening the arteries in the heart, amlodipine also improves the blood and therefore oxygen supply to the heart. Angina chest pain occurs when the heart doesn't get enough oxygen for the work it is doing. Amlodipine improves this oxygen supply. By lowering blood pressure it also reduces the effort the heart has to make to pump blood around the body, so that it doesn't need as much oxygen. Taken regularly, amlodipine can therefore prevent angina attacks. Preventing angina attacks, including Prinzmetals or variant angina.